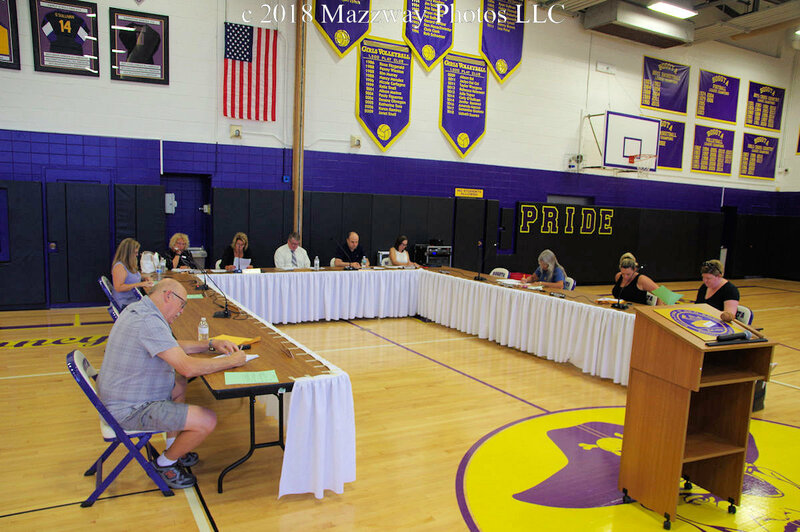 On Tuesday-24-July the Bogota Board of Education held a special meeting. This was the first meeting attend by new Superintendent of Schools Damian Kennedy. Before he gave his superintendent's address Mr. Kennedy asked for a moment of remembrance for two people who worked with the Bogota Public Schools. One was Bogota Alumni Mr Joe Baranello who passed away last week. Mr. Baranello served as a volunteer wrestling coach for the Middle School Wrestling program, and many years coaching recreational sports in Bogota. The other was Mr. Dave Dinallo who worked for the district over 25 years. Mr. Dinallo started as a custodian and eventually became Head of Buildings and Grounds for Bogota. Mr. Kennedy next gave an up date on contrition projects in each of the district schools. He said that the repairs to the hall in Steen School were fully restores after water damaged in January. The lentil replacement at Bixby were again moving forward after other delays. Material needed to be reordered when discrepancy where found, and the completion is estimated to occur by mid August. 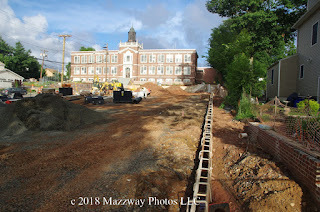 The parking lot in front of the High School has had new Water and Sewer mains completed on the same day as the meeting. This will now allow for the leveling and repaving part of the project to begin. 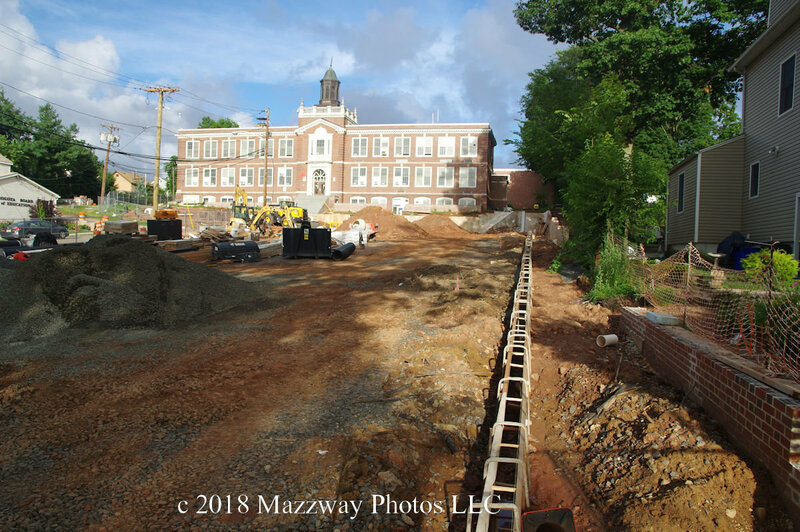 Mr. Kennedy also said that the contractor communicated that the schedule finish date is still 1-September. Some of the more significant agenda items that were passed were the acceptance of resignation of Bixby Physical Education Teacher Marc Sinclair effective 30-June-2018. New teachers that were hire are Steven Hodge as a Physical Education Teacher, Daniel Limone as a Special Education Teacher, Ariana Dellosa as a Elementary Music Teacher, Shannon Beddiges as an English Teacher, and Abby Bergoffen as a Physical Science Teacher. 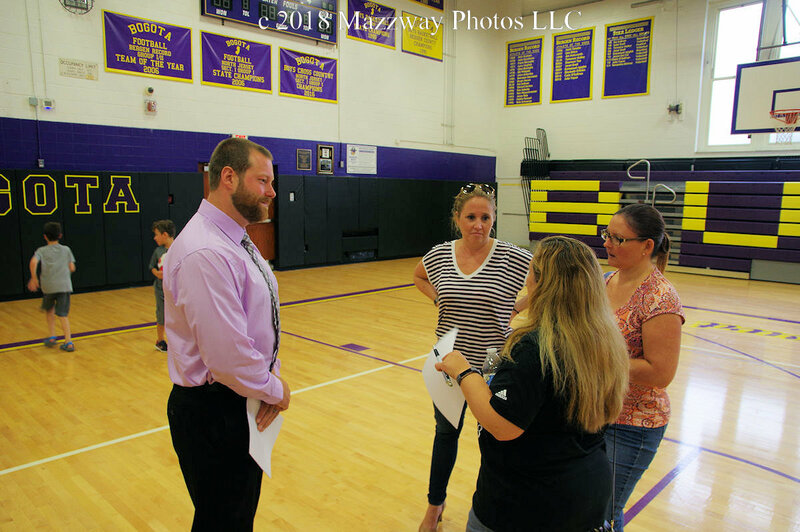 The most notable hiring was Michael Buesser as the new Vice Principal at Bogota High School. Mr. Buesser is a graduate from Sacred Heart University in 2008. He was also a football player during my four years there. He received a Masters in Counseling from Montclair State University in 2011. He started as a school counselor at Don Bosco Prep in Ramsey in 2011-12. Starting in 2012 he worked for the Kinnelon School District as a school counselor, high school football coach, middle school track coach, and club advisor. Mr. Buesser was also a member of the school safety team where he assisted with running drills and training students and staff in drill procedures. For the school year 2015-16 Mr. Buesser was awarded Educational Service Professional for that year. 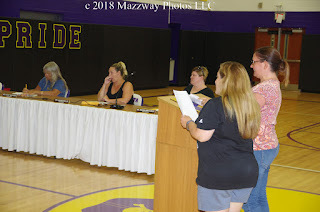 When the meeting was opened to Citizen Comments two Parent asked for an update on the security changes for districts schools. Superintendent Kennedy told them that upgrades of doors, and cameras in each of the schools was continuing. The Board is looking to approve new company to integrate their security system with the Bogota Police Dept. after the contract with the first company was terminated. Board President Lisa Kohles also said the the hiring of a School Resource Officer is on hold pending the Borough of Bogota budgeting for this position in their budget. 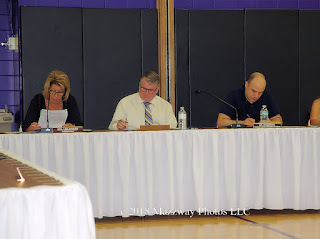 The School Resource Officer will be paid for equally by both the Borough Council and the Board of Education. The hire of Class III officers for each school is still being considered by the School Board. 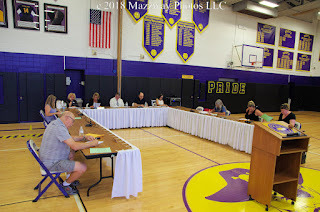 The next Board of Education meeting will take place on Tuesday-28-Aug, and is scheduled to start at 7:00p. The location of this meeting will be contingent on the work being done to the front of the High School. This is open to the public.